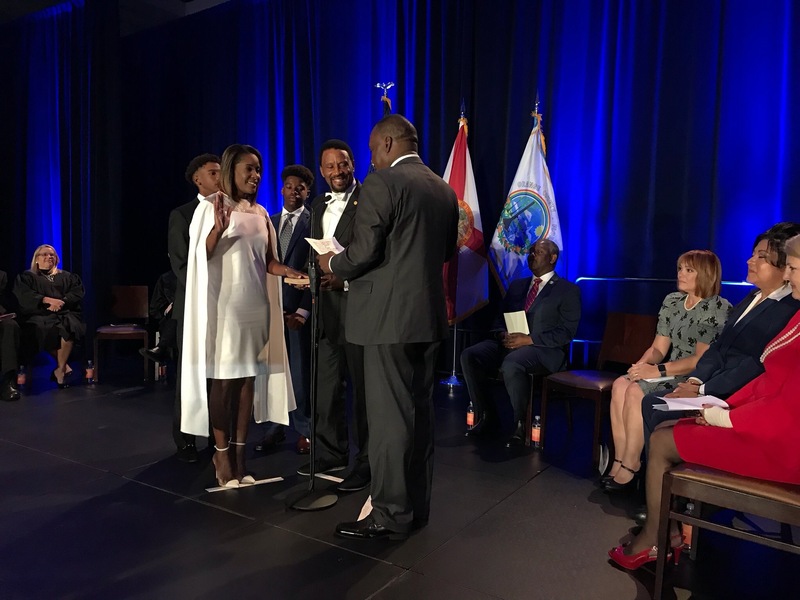 Hundreds of Central Floridians attended the historic Oath of Office ceremony for Orange County Mayor Jerry L. Demings, who was sworn in by Chief Judge Frederick J. Lauten of the Ninth Judicial Circuit Court on Dec. 4, 2018. 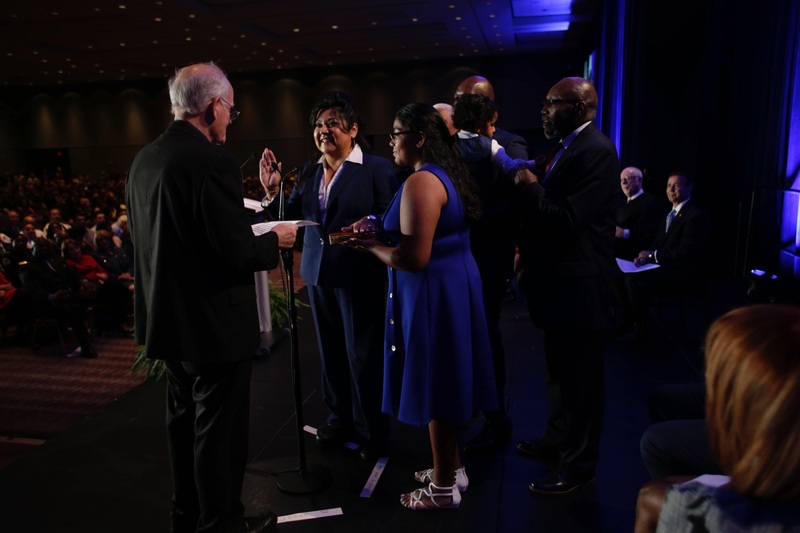 With record-breaking attendance, the ceremony at the Orange County Convention Center was attended by more than 1,400 residents and watched by many more online. 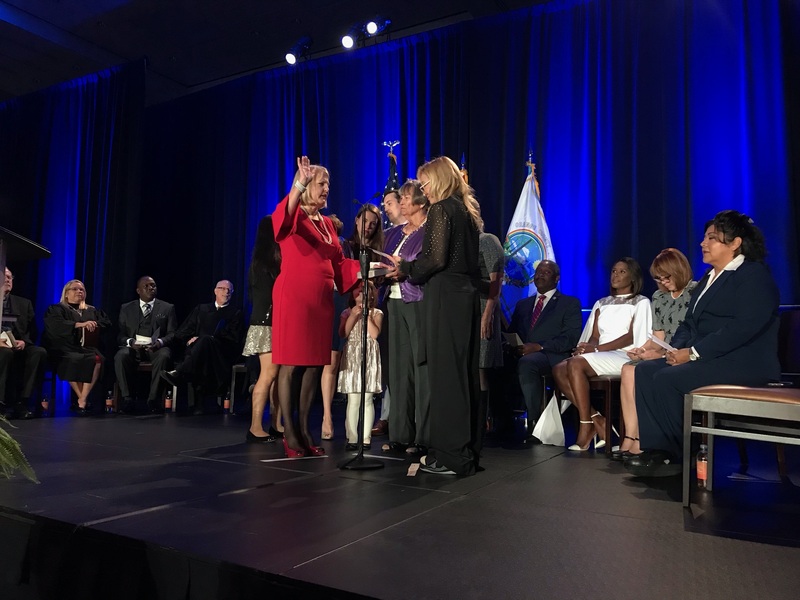 Orange County also welcomed District 2 Commissioner Christine Moore, District 3 Commissioner Mayra Uribe and District 4 Commissioner Maribel Gomez Cordero, who were all sworn in for their first terms on Tuesday morning. Commissioner Victoria P. Siplin will serve District 6 for another term. 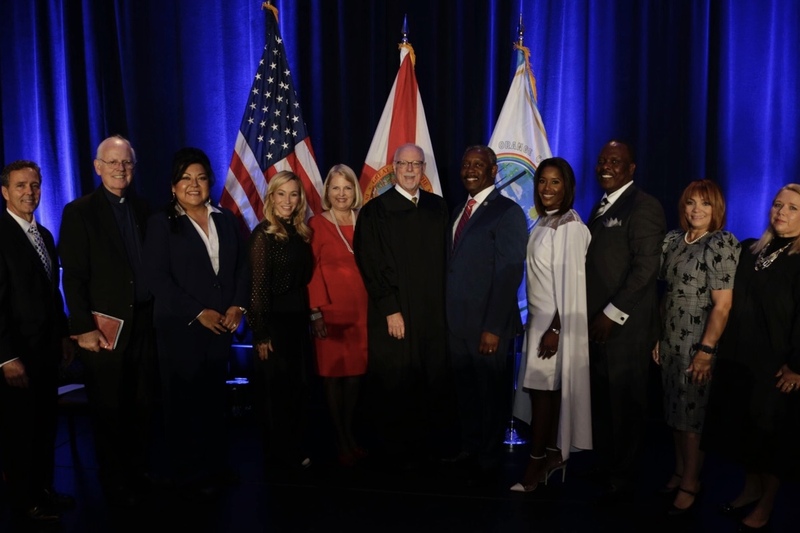 Commissioner Moore, who was sworn in by Senior Pastor Paula White of New Destiny Christian Center, will serve District 2, the northwest part of the County which includes Apopka, Ocoee, Pine Hills, Orlando, Zellwood and Lockhart. District 3 Commissioner Uribe, who was sown in by Rev. Paul J. Henry of the Basilica of the National Shrine of Mary, Queen of the Universe, serves the south-central region including Azalea Park, Conway, Pine Castle, Sky Lake and Rio Pinar. 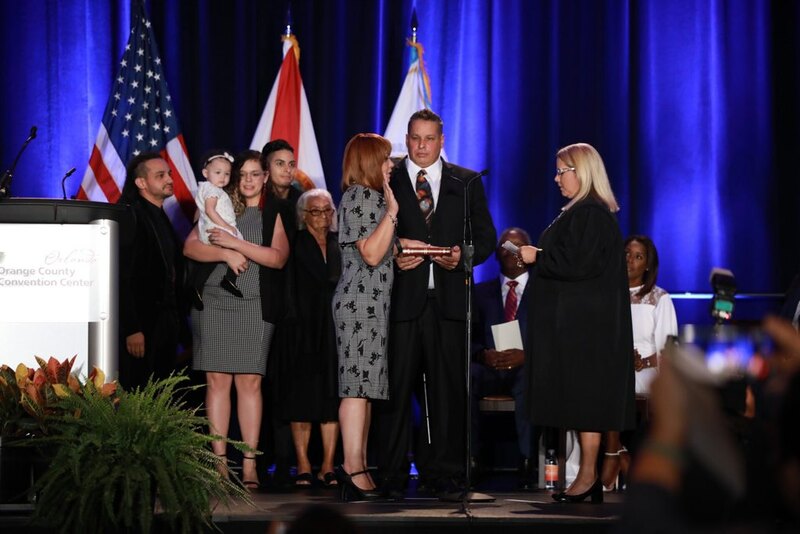 Commissioner Gomez Cordero represents District 4, southeast Orange County which includes Orlando, Southchase, Alafaya, Lake Nona, Taft and Meadow Woods, and was sworn in by Judge Tina Caraballo of the Ninth Judicial Circuit Court of Florida. 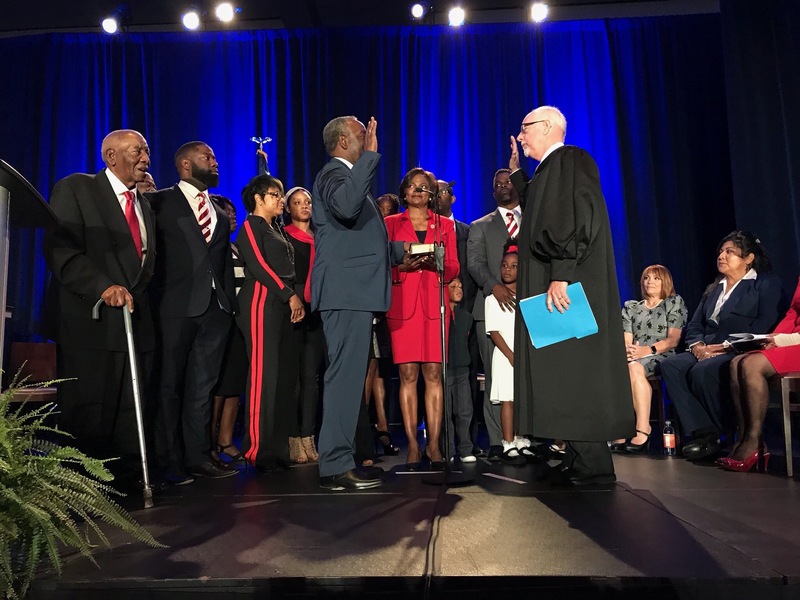 Commissioner Siplin, who was sworn in by Pastor Marc Adolphe of the First Haitian Free Church of Nazarene By Faith, will continue to serve District 6, which includes Pine Hills, Parramore, MetroWest and the International Drive Corridor. 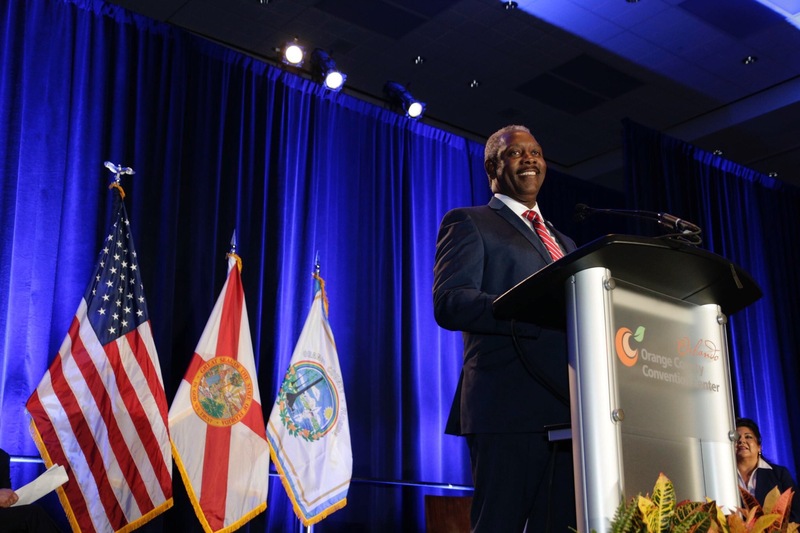 “As I embark on the collective journey of ushering in a new level of progress for our community for the next four years, I look forward to working with the Mayor and my fellow Commissioners to create solutions to meet our county’s unique challenges,” Commissioner Siplin. Fred Kittinger, Senior Associate Vice President, Government Relations for the University of Central Florida, served as the ceremony’s emcee. The talented Jones High School Master Singers provided the pre-ceremony music and 11-year-old violinist Leah Flynn performed “Happy” by Pharrell Williams. The National Anthem was sung by Allison Cento and the Invocation was provided by Terence R. Gray, I – Senior Pastor at Saint Mark AME Church. The Presentation of Colors was offered by Orange County Sheriff’s Office Honor Guard, the Orange County Fire Rescue Honor Guard and Orange County Corrections’ Honor Guard. The Pledge of Allegiance was provided by Vionn Welcome of Boy Scouts of America Troop 642. 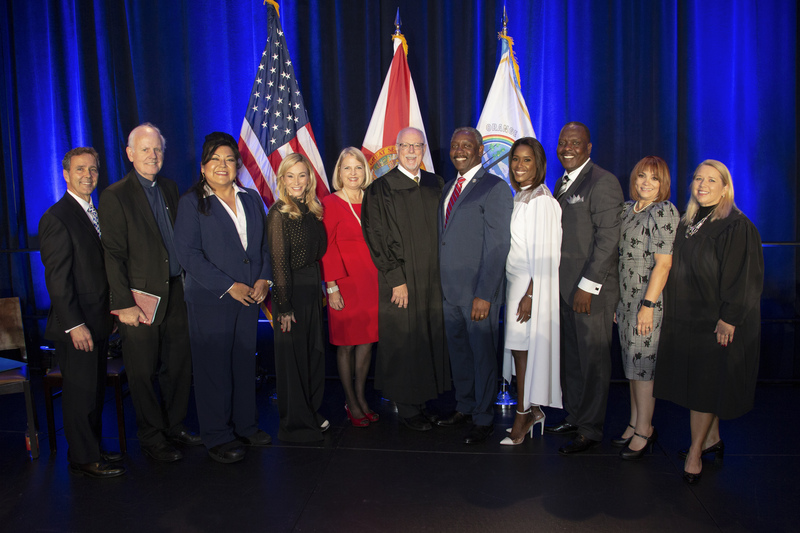 Photo Caption: Orange County Mayor Jerry L. Demings, District 2 Commissioner Christine Moore, District 3 Commissioner Mayra Uribe and District 4 Commissioner Maribel Gomez Cordero and District 6 Commissioner Victoria P. Siplin were sworn in to office at the 2018 Orange County Oath of Office Ceremony on Dec. 4, 2018 at the Orange County Convention Center.